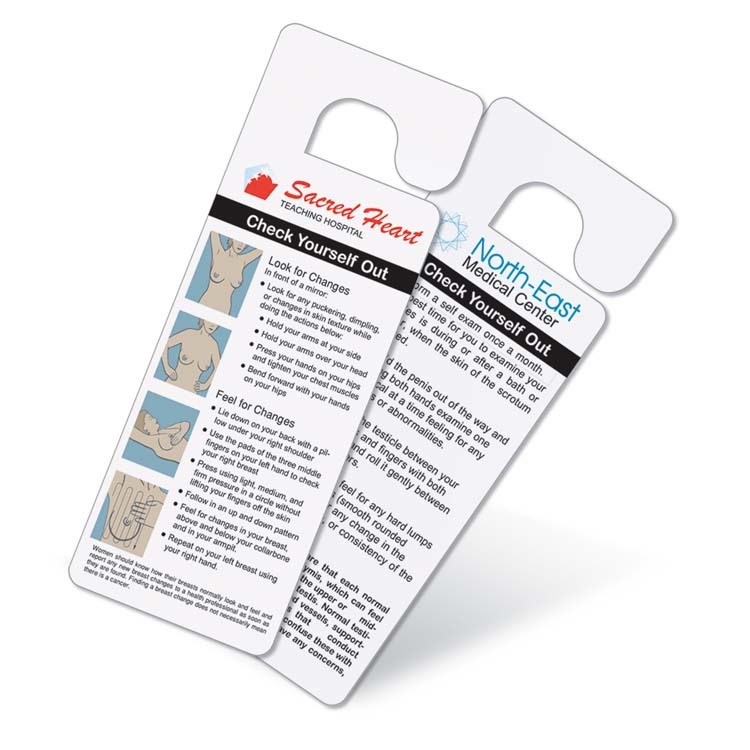 Durable vinyl hangers allow you to put important self-exam information in a conspicuous place - the shower. Available with early detection steps for both males and females. • Size: 3 1/8” x 7 7/8“. • Includes 4 color imprint, 2 sides (with same artwork), 2 7/8” x 5”. Copyright EzonePromos. All rights reserved.